Windscribe came out April 2016, and they are based in Canada. They try to stand out with a combination of features like “free VPN,” an included browser proxy, as well as their primary VPN offering. In this Windscribe Review, I’ll take a look to see if this VPN can compare to other top-rated VPNs we’ve reviewed like TorGuard and Private Internet Access. Will it stand above the rest, or fall to the bottom like some other VPNs we’ve reviewed so far? Windscribe has three options being “free,” monthly, and yearly. The monthly plan cost $9 a month whereas the yearly plan cost $49 for a year. They’ve improved this yearly pricing plan from $90 to $49, which makes them much more competitive in my opinion. 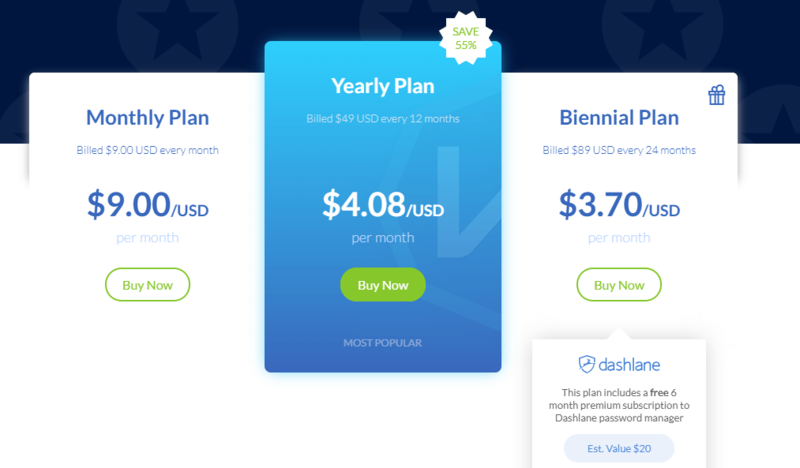 They’ve also included a Biennial plan that includes a free 6 month subscription to Dashlane which is pretty dang cool. The free plan is limited with 10GB of data transfer if you validate your email. It’s also very easy to upgrade your free account this way, and Windscribe doesn’t make you jump through a bunch of loopholes which could be the case. Verifying my email got me the upgrade right away. The amount of free data Windscribe gives you is quite decent, and it beats out competitors like Cyberghost and Tunnelbear especially since speeds don’t seem to be limited in the free version. 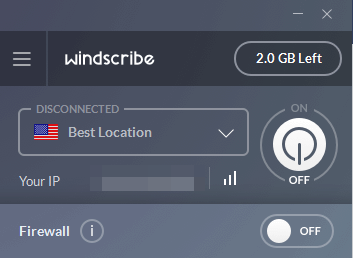 Windscribe is definately the best “free VPN” out there. However, that said, the free version is a bit limited in that it doesn’t support “Windflix” or Netflix compatibility, unlike the pro version. Some other good things about Windscribe is that they offer good payment options so you can stay anonymous with Bitcoin. Windscribe has super “small” software since it resides in a tiny box with few options. This is good–though since it feels simple, light, and easy to use. It reminds me a bit of Private Internet Access, except a little bit easier on the eyes with a modern look that is much bluer than overly saturated lime green. It’s also neat since when the app is “off” it is a faded gray, but when it’s turned “on” it becomes more bright blue. The app has a few good options like a firewall feature, the ability to pick the “best location” for the best speeds, and a few good options in the preferences that let you customize the app. You can configure the protocol, and it’s interesting to see a “Stealth” protocol option since I don’t see too many VPNs with that besides TorGuard and some other crappy VPNs like Astrill VPN. There isn’t too much info on the site about how effective it is, but the site’s FAQ claims it “could be handy” in China which seems semi-questionable. Nevertheless, it’s good to see here! Overall, I was impressed with Windscribe’s “no-nonsense” kind of app. It’s very polished, and I didn’t encounter bugs in the installation, and using the app is very simple and easy. It’s fast and efficient and doesn’t seem to get in the way or bug me about upgrading constantly. I was pleasantly surprised to see Windscribe has a mobile app. Installing it and configuring the VPN settings was a breeze (pun intended) and launching it and connecting worked flawlessly. Good job Windscribe! Windscribe does focus a bit on extra services which is interesting. But they also play things up a bit–but that’s OK. Overall, they have most everything you’d need from a good core VPN provider. When I last tested Windscribe with Netflix, the chrome “WindFlix” proxy did work with the US version of Netflix. They offer a browser extension and then the main VPN client. 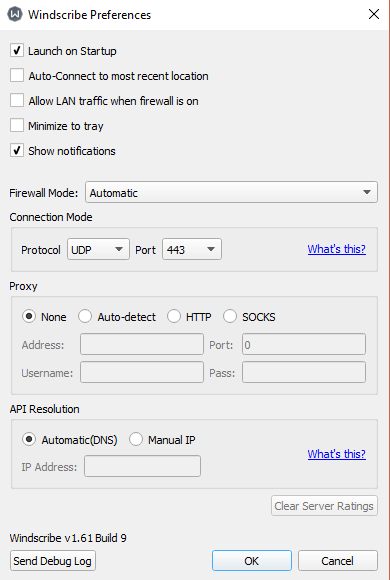 The browser extension is a proxy, but it’s great to see that the client has a firewall option which serves as a sort of VPN kill switch to prevent connections to the internet unless Windscribe is turned on. The site doesn’t sell VPN routers, email features, or the like–but the amount of use you can get out of the free version is better than most competitors (limited to 8 countries, limited downloading, and 1 device–however), and the proxy combo with the VPN client is very good. Windscribe’s website feels very new and updated. Accessing your account, upgrading, paying, and accessing support is very simple. It’s easy to find the pricing, the FAQ (I very much appreciate their FAQ which gives you everything you need to know about the core components of how they run Windscribe as a VPN) and learn what makes Windscribe different on the main homepage’s video. The video has minimalist art and reminds me a bit of Kurzegat on YouTube. I already mentioned how I like how transparent the site is with the free data and account information present to you. There isn’t any forced restrictions on the free version that aren’t immediately present when downloading it. It’s also neat since when you get the app, you can click that you don’t have an account and it’ll take you back to the website to create one. You don’t even have to verify your email to get access to the lowest data-capped version of the client. Windscribe has a good amount of servers, but the free version is somewhat limited. They only have nine for the free version (paid version has more), but I loved that the client was smart about picking the best location for me. The paid version has plenty of servers. Overall, I didn’t have any complaints with any of the servers I connected to, and it’s refreshing to see that the “free version” can connect to a good amount, but there is a restriction to only eight countries. Keep in mind that some servers are restricted and don’t support P2P. This is a small thing since you can just connect to a different one. One thing that bugs me about Windscribe is that they rationalize having a secure firewall in place of kill switches to protect IP leaks. However, I think kill switches are still important to have as an option in case you have an internet outage, or a VPN disconnect. One thing I’m a bit worried about with Windscribe is how their headquarters affects their data logging. They claim they don’t log data, but under recent Canadian law, they are required by ISPs to retain data logs for 6 months. Right now I’ll send Windscribe an email to see what they say, but keep this in mind since it’s something that could easily be glossed over. Testing out Windscribe was very impressive. Using the service I got as fast of speeds as I do with TorGuard and Private Internet Access -or faster, which I consider the fastest VPNs. I got around 195 Mbps download and 11.13 Mbps upload speed. Torrent speeds were decent but didn’t blow me away as I got somewhere around a 4 Mbps DL cap. Windscribe does have live chat now, even though it mainly seems to be operated by bots. It’s not a “real person” live chat. Surprisingly, they can be pretty helpful and they respond super quick, of course. They do have easy to access support pages and plenty of information in their FAQ. Another thing to note is that they always seem very PO’ed at me for writing about their service. Most VPNs I interact with have been pleasant, but Windscribe can be a bit cranky sometimes when I interact with them. Since their offerings are so easy to use, and the website is easy to navigate, I don’t anticipate people needing to use Support too much. They do offer a 3-day refunds policy–which is a bit short, but since the free version can act as a trial, this is OK.
Windscribe launched in 2016, and in my first review, I found they were a bit expensive to upgrade, but since then, they’ve reduced pricing and improved their service. They are super fast, and they have every feature you pretty much need. 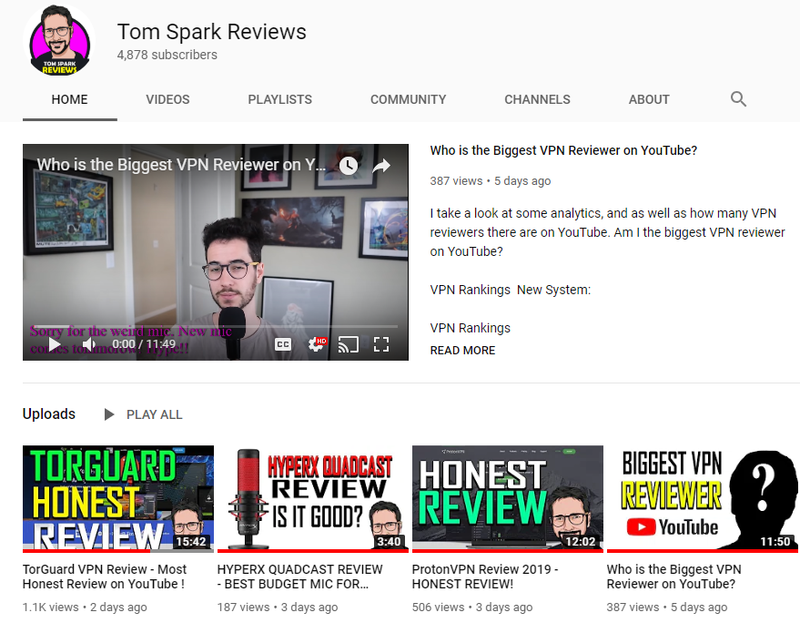 Sure they might not be as “ultra secure” or loaded with features like TorGuard VPN, or even as cheap, but they do have their niche as a free to upgrade VPN, and they beat out every other competitor as well. They have a great free VPN program with a generous amount of data usage compared to any free VPN I’ve seen, and their paid VPN offering has great speeds, plenty of mandatory security features like embedded IPV6 DNS leak protection, a firewall kill switch, and secure 256-AES encryption with a no logging policy. Their website is clean, and their mobile app is also very easy to use as well. 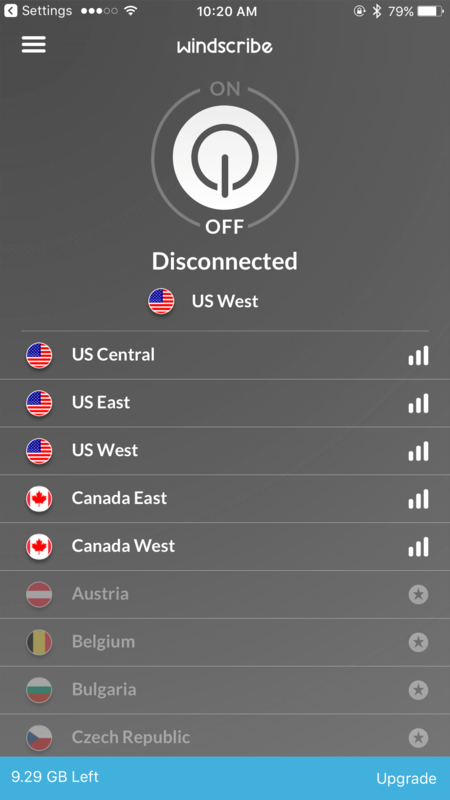 This is a great VPN to test out if you’re new to VPN and also a good VPN for experienced VPN users who just want something simple. Live chat could use "real people"